1. Organized Living This manufacturer of storage/organization products will be giving away an organized garage this year! Visit our friends at booth C6940 for a chance to win. 2. American Express During any morning of the show, you can stop by booth C2047, and obtain a free lunch voucher for their OPEN Food Truck Alley. 3. IBS Live! Booth S1036 will have it all! 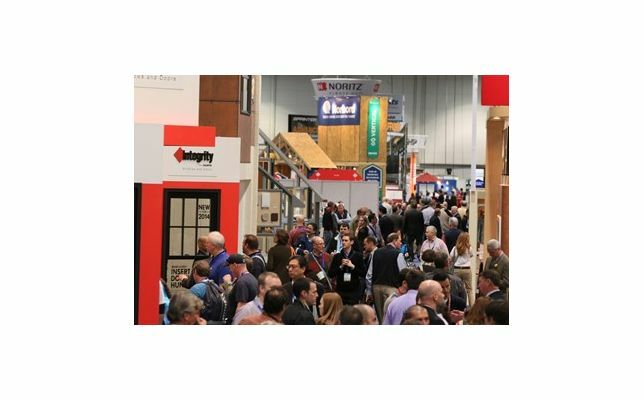 From a Q&A session hosted by HGTV's Scott McGillivray, to a live barista art demonstration, IBS Live is offering up a ton of exciting activities. 4. Sherwin Williams Aside from checking out their Color of the Year (Coral Reef), you may be able to get your hands on some free cookies at booth C4536. 5. Lumbar Liquidators/Guaranteed Rate/HomeAdvisor, Inc./Pavillion Inc. Hoping to snag a selfie with a celeb? Vanilla Ice, Ty Pennington, Adam Carolla, and Bob the Builder will be at booths C5526, S2453, C3065 and S2772, respectively. 6. The Henry Company Download their app at booth C8333, and get a free t-shirt! 7. Wells Fargo If last year is any indication, you will be sure to find a ton of fun and games at booth C2621. 8. Weather Shield Take a photo of your favorite product in booth C4243, and tag Weather Shield. You'll automatically be entered to win a ton of Weather Shield prizes. 9. GAF This roofing manufacturer is unstoppable. With monthly introductions of new products, our friends at booth C2108 will be sure to impress. 10. Modlar Can't forget about Team Modlar! We'll be on hand at booth C6147 to discuss our product and answer any of your questions. We'll also have a ton of free goodies, as well as a live feed of the show floor!